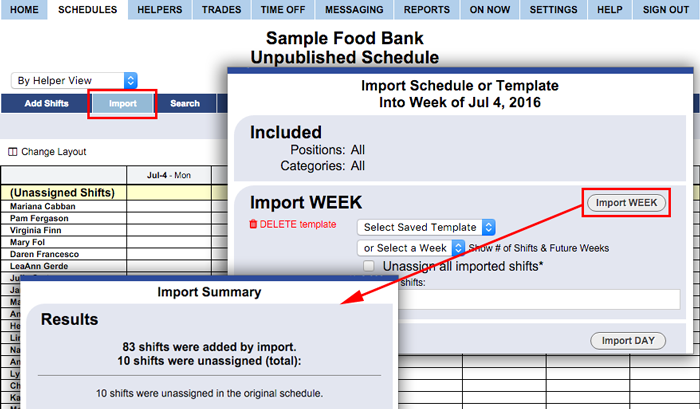 After Importing a previous day/week or saved template, you will see a window displaying the Import Results. It will show the total shifts imported and how many were automatically unassigned. If you imported any shifts with assignments, you will see those details and also any specifics about why any shifts imported as assigned were changed to unassigned (Ex. if the helper was granted time off on that day).